Last year, my car got stolen. I lodged a complaint with the police and also intimated the insurance company. Three months after this, the police found my car abandoned in a field. When I finally got possession of the car, I was extremely pained to see its condition. The thieves had obviously used it badly and it required extensive repairs. However, the insurance company is offering an amount much below the actual cost of repairs on the ground that it was based on their surveyor’s report. Can I challenge the surveyor’s report before the consumer court? Yes, you certainly can. But first write to the insurance company, giving reasons for your disagreement with the estimate of the surveyor. Submit all the bills and I do not see why the insurer should not agree to pay your claim. In fact, in New India Assurance Company Ltd Vs Pradeep Kumar (Civil Appeal No 3253 of 2002, dated April 9, 2009), the Supreme Court referred to Section 64 UM (2) of the Insurance Act and observed that even though the assessment of loss by an approved surveyor is a pre-requisite for settlement of claim of Rs 20,000 or more, a surveyor’s report is not the last and the final word. 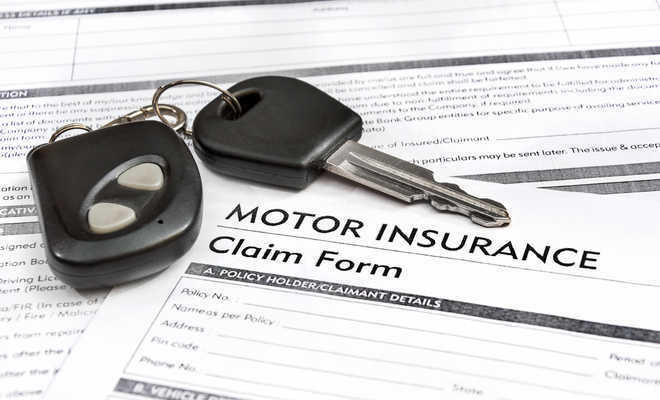 Even though it is the basis for settlement of claim, it is not sacrosanct and it is not binding on the insurer or the insured, the apex court said. In this case too, following an accident that completely damaged an open body truck, the insurance company offered to pay Rs 63,771 on the basis of the estimate of the two surveyors appointed by it and argued that the surveyor’s estimate was sacrosanct. Since the insured had incurred an expense of Rs 1,58,409 on the repairs, he refused to accept this amount and sought the intervention of the consumer court, which, on the basis of the bills submitted by him, directed the insurer to pay Rs 1,58,409 along with 12 per cent interest. This was upheld by the Supreme Court. So, you can get justice through the consumer courts, but I would suggest that you try the Insurance Ombudsman first as the process there is much quicker and simpler. Can you quote an order of the apex consumer court to help me with my case? The Supreme Court judgement that I have mentioned above will help you in your claim. I can also quote for your reference, an order of the National Consumer Disputes Redressal Commission delivered on January 4, 2019. Like yours, this was also a case of theft of a vehicle, Tata 2515, insured for Rs 18 lakh. On March 18, 2011, the vehicle was stolen and later recovered by the police after nearly five months. In response to the vehicle owner’s claim, the insurance company sent its surveyor, who assessed the loss at Rs 1,03,650 and the insurance company offered to pay Rs 1 lakh. Disagreeing with the surveyor’s estimate, the owner filed a complaint before the District Consumer Disputes Redressal Forum, which directed the insurer to pay Rs 1,03,650 along with 9 per cent interest calculated from the date of filing the complaint and Rs 50,000 as compensation and Rs 5,000 as litigation expense. Both the owner and the insurer filed appeals before the State Consumer Disputes Redressal Commission, which observed that the surveyor had not considered the damage to the gear box assembly, front and back tyres, etc., while assessing the damage and directed the insurer pay in addition to Rs 1,03650, an amount of Rs 3,50,000 towards these damages, along with 9 per cent interest. It, however, reduced the compensation from Rs 50,000 to Rs 10,000. The National Commission, in response to the revision petition filed by the insurer, observed that the surveyor had disallowed the just claim in respect of the gearbox assembly and the propeller shaft, costing Rs 1,65,000 and Rs 13,800 and this needed to be paid. As for the tyres, it referred to the policy conditions and a Supreme Court judgement which said that parts that required to be replaced due to normal wear and tear were excluded from the claim. So a surveyor’s report can be amended, if it is not just and reasonable.